Hugo Home are committed to protecting the privacy of its customers as well as openness about its information gathering and dissemination practices. 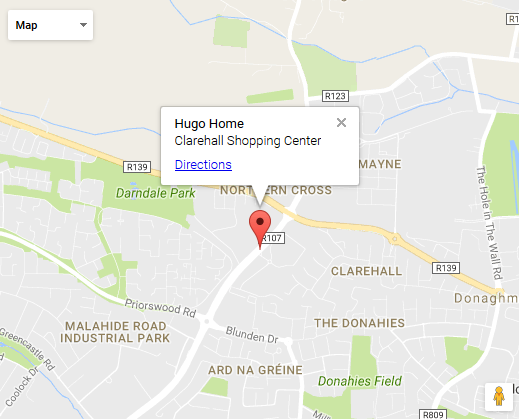 Hugo Home is 100% Irish Owned and has a retail shop in Clarehall Shopping Centre, Malahide Road, Dublin, please feel free to visit our store anytime. We guarantee to protect your privacy. Your name, address, customer number, telephone number, e-mail address, credit/debit card number, expiry date and issue number. If you enter a prize draw we need your name, address, customer number and e-mail address.